Located in the heart of Washington, D.C., and one block away from the White House, GW’s Corcoran School of the Arts & Design actively seeks to engage and solve the pressing challenges our community faces. Salon Doré participants view a powerpoint in a roundtable discussion. (Kaitlin Jencso). Located in the heart of Washington, D.C., and one block away from the White House, GW’s Corcoran School of the Arts & Design actively seeks to engage and solve the pressing challenges our community faces. Embodying that mission, the annual Salon Doré series gathers innovative thinkers from diverse fields and outside organizations to engage in important conversations needed to bring about impactful social change. Grounded in the perspective of performing and visual arts as important drivers of positive and social change, the discussions focus on issues of equity through the lens of culture and creativity. The series takes place in a French neoclassical salon, a powerful symbol of inequity itself as it was originally intended only for the elite. These talks are centered on creative problem solving with a goal of formulating fresh, ground-breaking solutions to the pressing problems of our times. 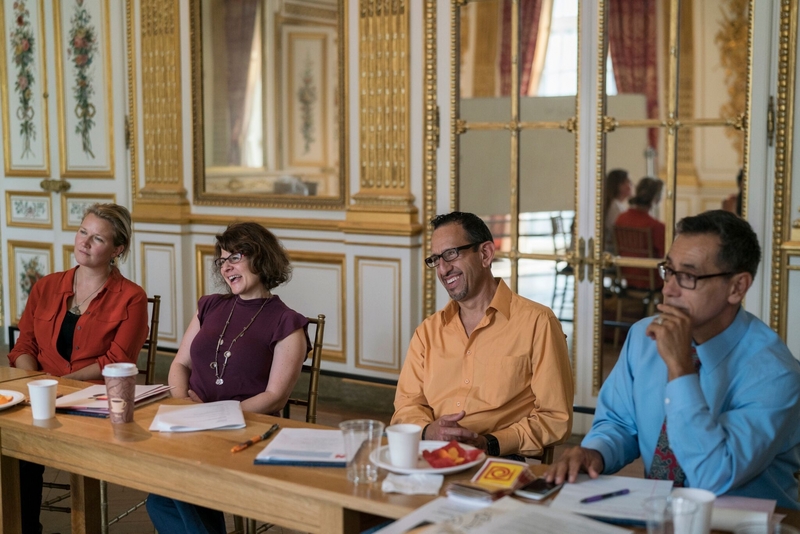 In 2018, the first convening met to discuss rethinking the foundation of arts education. Participants agreed that the arts should not be taught using the same blueprint as other academic disciplines. Rather, arts education has the remarkable potential to foster self-worth and a sense of community, while developing a personal voice, critical thinking skills, and overall academic achievement. In partnership with the Robert Rauschenberg Foundation, the participants developed six ethical principles for effective arts education: critical thinking, valuing individual potential, belonging, interconnected thinking, activism, and youth driven initiatives. 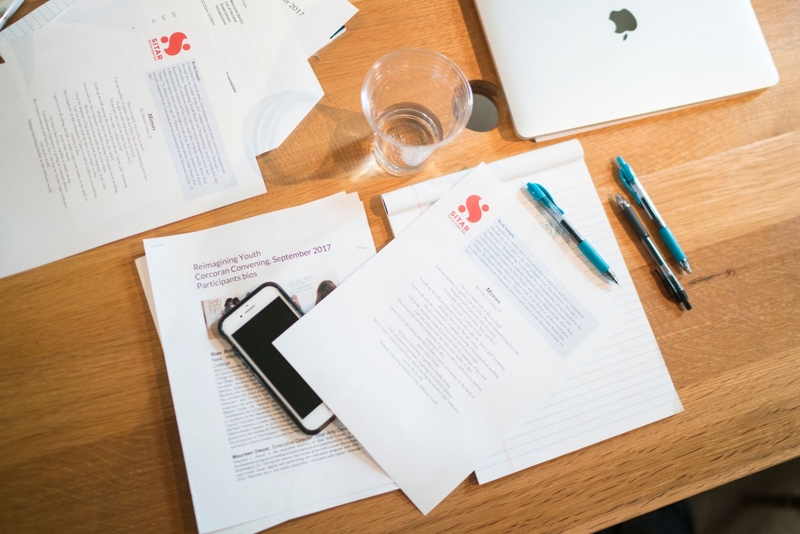 The principles were adopted by three pilot summer programs: Sitar Arts Center in Washington, D.C., Moving Arts Española in Española, New Mexico, and Zygote Press in Cleveland, Ohio. The Corcoran School of the Arts & Design is in a remarkable position to spur new scholarship on issues around culture, creativity, and inequity. Our Salon Doré series is just one example of our efforts to engage with and build a stronger, active, and more creative community.